Gallup is a city in McKinley County, New Mexico, United States, with a population of 21,678 as of the 2010 census. Start off your visit on the 22nd (Sat): admire nature's extreme beauty at Monument Valley Navajo Tribal Park, examine the collection at Navajo Nation Museum, and then look for gifts at Richardsons Trading Company. 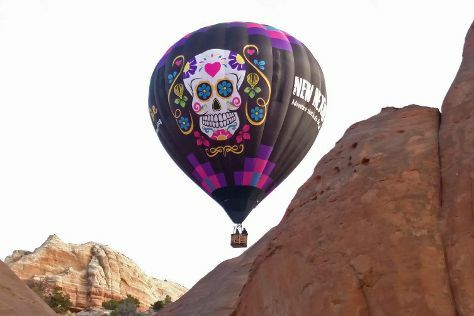 On your second day here, tour the pleasant surroundings at Red Rock Park, then enjoy unforgettable views with X-Treme-Lee Fun Balloon Adventures, and then browse for treasures at Bill Malone Trading Company. To find more things to do, photos, where to stay, and tourist information, read Gallup trip itinerary site . December in Gallup sees daily highs of 46°F and lows of 16°F at night. Wrap up your sightseeing on the 23rd (Sun) to allow time to travel back home.